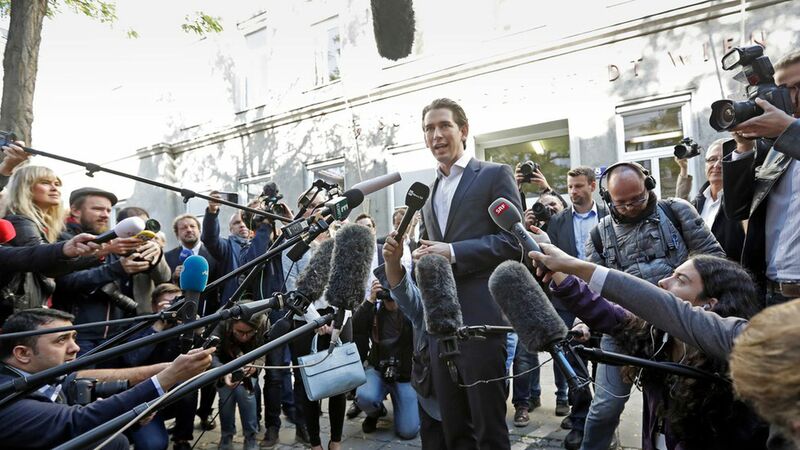 Early projections indicate that Sebastian Kurz — the 31-year-old conservative candidate — will win the chancellorship of Austria, shifting the politics of the country to the right, the Washington Post reports. Per Austrian broadcasters, Kurz and the People's Party have 31.6% of the vote, with the incumbent Social Democrats at 26.9% and the nationalist Freedom Party right behind with 26%. Why it matters: A win for Kurz and the People's Party would turn Austria far to the right after decades of centrist rulers in power. "Favoring the People's and Freedom parties is distrust of migrants and Muslims among many Austrian voters," per the AP. Kurz would also be the youngest world leader, if elected.